Join the January Health Bet Challenge! The holidays are here and it's almost 2017! Wow, time sure flies! Hopefully you've been able to stay on track during this holiday season, but like most, it's easy to fall off track. What makes it easier to get back on it and STAY on it is to plug into a structured program along with an accountability group. Holding yourself accountable each day and staying committed to your goals along side others doing the same will help you get to those results you want. Don't wait until your a week away from that vacation, or summer, or just waiting until you feel like it's no use...commit now and get yourself set up for the new year by joining my January Heath Bet Challenge! How Does the Health Bet Work? When you participate in a challenge group with me between January 9th and February 5th, 2017, you will get you entered into the Beachbody Health Bet. When you meet all of the qualifications, that are set up to help you make progress towards YOUR health and fitness goals, you will qualify for and automatically win an equal share of a pot of $2,000,000 all the way up to $3 million dollars! Pretty sweet deal, huh? Beachbody is so awesome because they are always coming up with creative and fun ways to help end the trend of obesity! In the group you will receive daily accountability, motivation, support, me as your coach, meal plans, recipes and more! Pick your pack out of the options below. There are some awesome choices on promo for the month of December to help get you started and in on the pot! There's something for everyone here, whether you are a beginner or have been crushing it for a while, but if you do not see something that interests you then please email me. All of the packs will come with Shakeology to help you stay dialed in on your nutrition, get the results you are working for, and put you in the position to meet the requirement to be awarded your piece of the pot! Each of these packs are on promo price for $140, regularly $160...quite a savings! If you are looking to dance your way to fit with the new country music-inspired program with the 21 Day Fix’s Autumn Calabrese then look no further than Country Heat. Get your Country Heat Pack HERE! Do you want to dial in your nutrition with an easy-to-follow portion control system? Are you looking for effective and efficient workouts? Learning how to effectively build muscle and lean out like award winning national bikini competitor, Autumn Calabrese? Then the easy to follow and highly effective 21 Day Fix is on sale this month and will help you develop those healthy habits to help you kill it through the health bet and into the new year! Get your 21 Day Fix Pack HERE! If you have already completed the 21 Day Fix OR are looking for a CHALLENGE and EXTREME results, then take things up a notch. 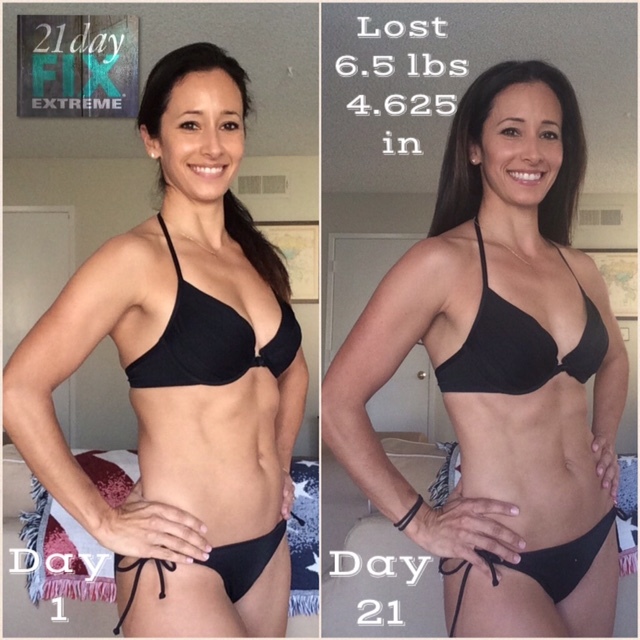 Get your 21 Day Fix Extreme Pack HERE! If you want knockout results in 30 days without lifting a single weight, then CORE DE FORCE is the workout for you. CORE DE FORCE is unlike any other MMA-inspired workout in the Beachbody catalog. Joel and Jericho bring in exhilarating Boxing, Kickboxing, and Muay Thai combinations and mixed them with fat-blasting cardio and body weight moves to help you zero in on stubborn belly fat and carve allover definition. No matter what your fitness level, you can punch, kick, and sweat at your own pace.Get your CORE DE FORCE Pack HERE! There is one more option to get you going and it will allow you to choose what you want from a HUGE library of Beachbody programs with the streaming service Beachbody OnDemand, and you take them anywhere with you via your laptop, tablet or mobile device. Getting your workout in is only part of the battle so you also get the Portion Fix, the easy to follow portion control system and nutrition guide. The color coded containers will keep your portions in line and will help you learn which foods you should be eating and how much. The CLUB (Beachbody OnDemand) + The Portion Fix is not only a great value but it gives you options! Get your Club + Portion Fix Pack HERE! Don't wait...Grab your spot NOW...spaces are limited! Announcing: Launch of Fit Pregnancy Online Support Group! JOIN US! During my pregnancy journey, I decided to create a group for other expecting mamas and new mamas to provide motivation and support for staying healthy and active and work on getting that body back after baby. It's a challenging and exhausting time, and we can all use some extra lotivation, support, and accountabiloty for staying on track with our health and fitness journeys. We need to be strong mamas for ourselves and for our families! This is a no-judgement, positive vibes only community. As your fitness coach, I will provide healthy habits tips and workout ideas and programs. As a member, you will bring motivation and support while sharing your journey! 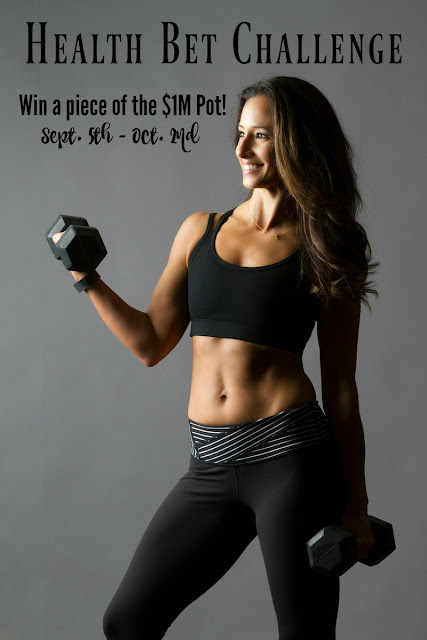 WANT TO WIN MONEY AND GET FIT? Join The Beachbody Health Bet! It's back to school time and time to get back on track! By participating my upcoming online fitness challenge group with a new bundled fitness challenge pack in the month of September and log your workouts with me on our mobile app, you will be a part of a $1.25 million dollar(and growing) pot!! Earn MONEY, GET FIT and FEELING AMAZING WITH ME!!! Beachbody is betting over $1 million dollars that you will fall in love with getting healthy! During the Challenge Period, from September 5th - October 2nd, 2016, both coaches and customers who meet the below requirements will win an equal share of a $1-$3 million dollar pot seeded by Beachbody! WHAT?!?! EMAIL ME and I will reach out to you within the next few days with details and enrollment options. My Health Bet Challenge will run September 5th - October 2nd. Prep week begins August 29th! ENROLLMENT IS NOW OPEN, GRAB YOUR SPOT IN THE CHALLENGE TODAY! Let's all win a share of the $1.5 million (and growing) pot of money! 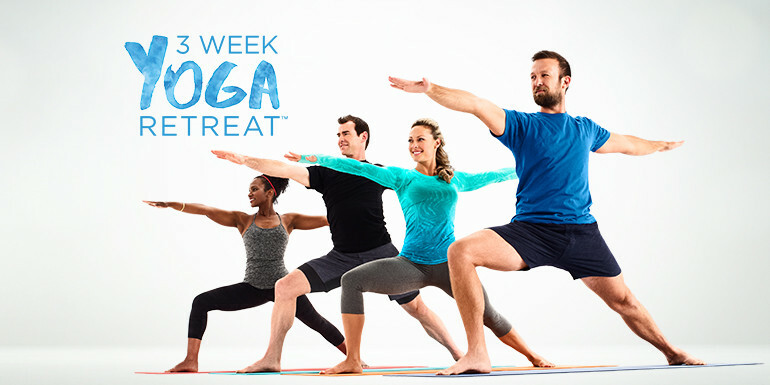 3 Week Yoga Retreat COMING THIS SEPTEMBER! Are you ready to get started? The 3 Week Yoga Retreat is launching soon on Beachbody On Demand with 21 classes, a Quick Start Guide, Beginner’s Basic Video, a Pose Tracker, and a Class Calendar. It’s also free for Beachbody On Demand members! This is exciting!! I decided to do something a little different this summer and offer an on-going, all summer long fitness and nutrition challenge. Why? Because I don't want people to feel limited on time and scheduling. 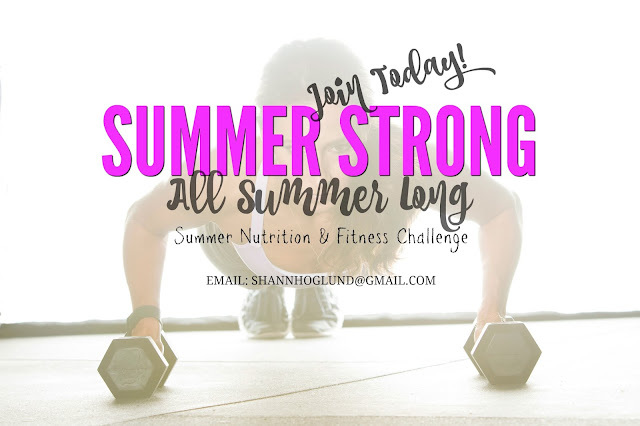 Summers often throw us off our regular routines and schedules, but that doesn't mean that we need to completely fall off the healthy wagon, so to speak! That's why I created a summer-long program where my clients can jump in and out when needed...or stay with it the entire summer! It's totally up to you! So, do you a vacation this summer? A reunion? Just want to feel and look your best? Get that bod healthy, strong, and bikini-ready because summer is just around the corner! Join my online fitness and nutrition accountability group where you'll get daily motivation, support, fun, and accountability! AND PRIZES TOO! Why? Because you deserve to LOOK and FEEL AMAZING this summer and beyond! Are you READY TO COMMIT and WANT TO SEE RESULTS? Together we will work HARD towards getting healthier and in better shape. We will focus on your nutrition and fitness goals, while providing motivation and daily accountability! There will also be contests and prizes! People see more success when they do it together with like-minded individuals who are also ready for change and want to surround themselves with others who want to see the same results. All of this will be done in our own homes, on our own schedules...what's more convenient than that? You can even choose a workout program that can be streamed instantly via laptop, tablet, or mobile device...perfect for those who travel. It's a recipe for success! No excuses! This challenge will run in a private group and easily accessible with a challenge tracker app. You will be matched with a program/plan that aligns with YOUR specific health and fitness goals. You will also have the option to choose your own workout programs from hundreds of Beachbody workouts! I made this the other night for dinner and it was a hit! Following a Paleo/ anti-inflammatory diet keeps us away from wheat and grains, so we sure miss pasta dishes. It was fun to pretend we were having spaghetti night while getting in our veggies! 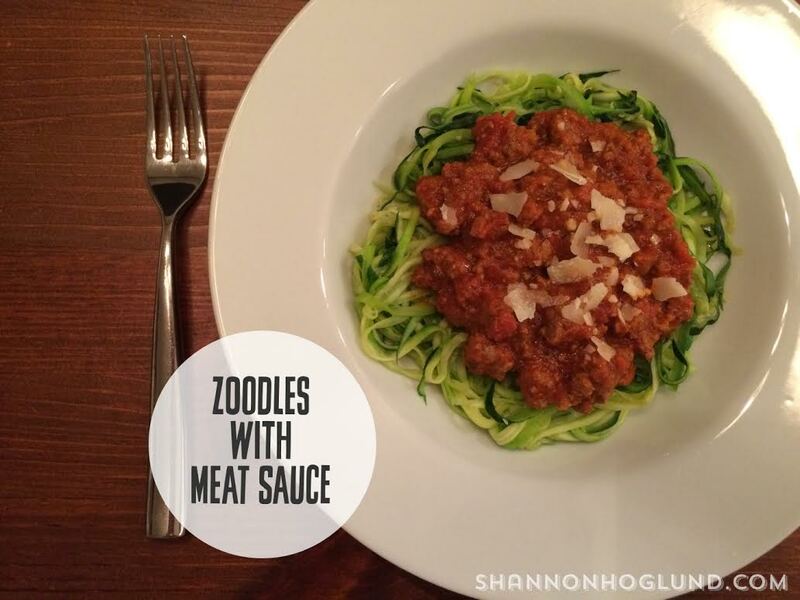 Super easy to make and delish, try it! How to Make this Dish! Can I just say, Vegan Chocolate Shakeology you've got some mean competition?! 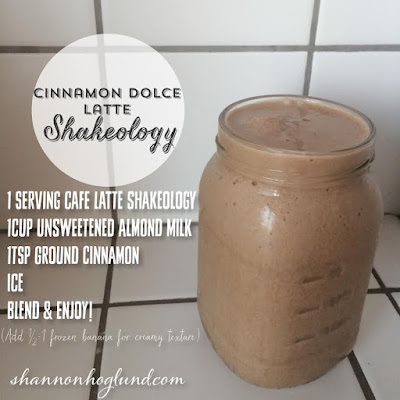 Until now, I've enjoyed a delicious and nutritious super foods shake made with vegan formula of Shakeology in chocolate flavor...which is TO DIE FOR. It's basically what keeps me from falling off the healthy wagon and shoving dark chocolate caramel bars in my mouth daily. FOR. REAL. But then Beachbody just came out with its newest flavor, CAFE LATTE...and let me tell you, this is addicting! It only comes in the regular formula, which means there is whey protein and dairy, but I am willing to deal with that for how great it tastes! Think a healthy version of a Starbucks Frappuccino...and the recipes that come with your order, I've only made a couple so far since I received my order just last week. 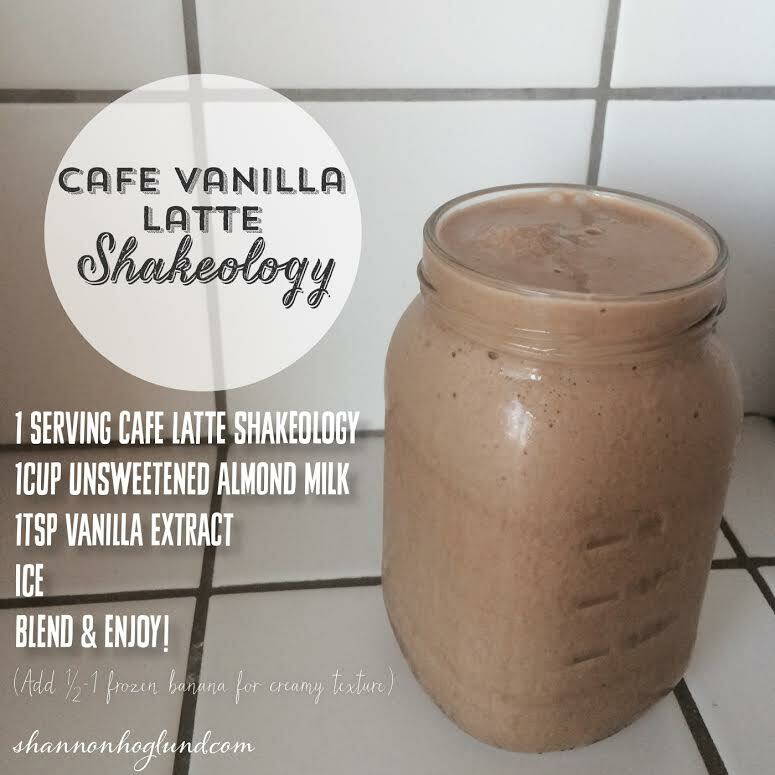 Does Café Latte contain more caffeine than the other Shakeology flavors? A: NOPE! 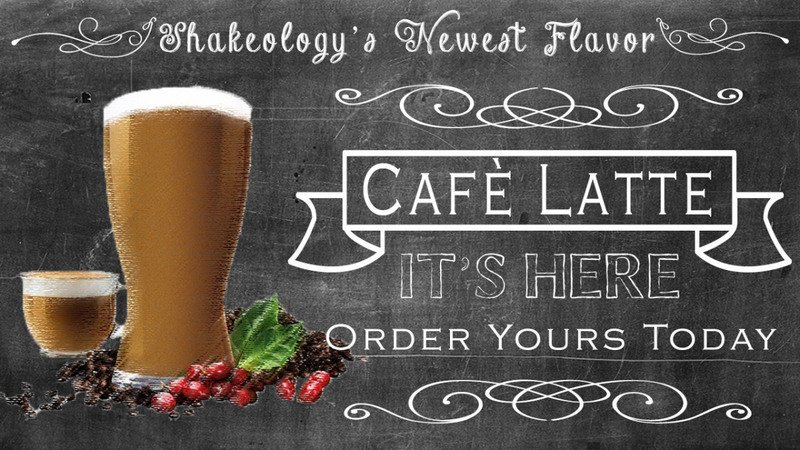 The caffeine levels in Café Latte are exactly the same as they are in ALL of our Shakeology flavors. So even though it tastes like coffee, Café Latte contains 75% less caffeine than an 8 oz. cup of coffee. What makes Café Latte so great? A: It’s formulated with WHOLE Coffee Fruit, not just the bean—a coveted super food powerhouse that’s native to regions of Mexico and India. Coffee fruit is actually the red fleshy fruit that surrounds what we know as the coffee bean! Not only is Café Latte delicious, but the use of the entire plant also minimizes Shakeology’s carbon footprint. What ingredients are in these shakes? A. 70+ super food ingredients, like probiotics, prebiotics, antioxidants, protein, essential vitamins and nutrients, fiber, and more. Click here for the nutrition facts. Hi! It's nice to meet you! I'm a busy mom and wife who loves taking in each day and enjoying the simple things in life. Staying healthy is critical for this busy mama to keep up with my family and this crazy life! My passion is to help other women lead healthy and happy lives! 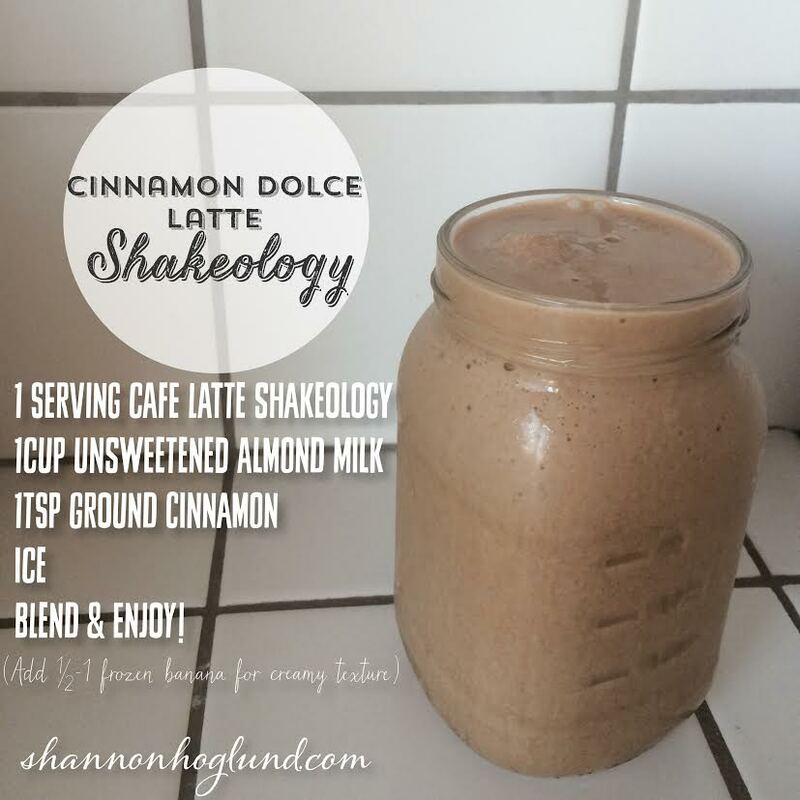 © Shannon Hoglund Lifestyle & Fitness. All Rights Reserved. Simple theme. Powered by Blogger.